P90X2 is Here! Pre-Order This Week and Get Ready to Bring It Again! After nearly 8 years on the market with over 3.5 million users, P90X has a proper sequel coming. P90X2 is here! Well, almost. Beachbody will start accepting P90X2 pre-orders September 1st through Beachbody Coaches. 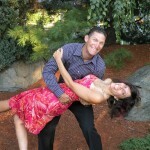 If you don’t already have a Coach, we would LOVE to have you join Team Fit Marriage and choose one of us as your Coach. It’s free and we’re here to support you every step of the way. As I enter my 11th week of P90X this time around, I’m really excited to see the information unfolding about P90X2. It truly looks revolutionary and extremely challenging! Check out much more information below, and don’t miss your chance to either pre-order P90X2 or (if you’re not yet ready for it) get our free Prelude to P90X program so you can get started right away and be ready for P90X2 before you know it! All the details on both options are at the end of this post. Ready to Pre-Order P90X2 (or NOT) ? We’re here for you! Simply send us a short message to let us know you’re interested, and we’ll be sure to get you to the top of the pre-order list to make sure you don’t miss out. Remember, only pre-orders (beginning September 1st) will get free shipping, guarantee delivery before Christmas and free bonus workouts! If P90X2 looks too intense for where you are right now, we’ve got you covered. Don’t miss our P90X Beginner’s Guide to Success where you can grab our 30-day ramp-up to P90X…the Prelude to P90X is being used by many right now to go from couch to fantastic condition, and we’d love to share it with you for FREE! 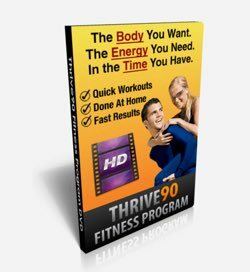 And if you prefer a proven 90-day program that requires MUCH less time and allows you to workout alongside your spouse if you choose, then definitely give our Thrive90 Fitness Program a look! 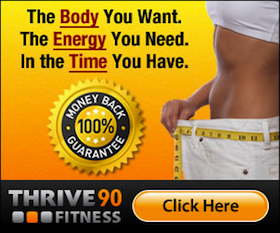 Want Even More Info on P90X? Check Out Our New Podcast Episode! Please check out the Beachbody Success Show on iTunes or go check out this post in particularly over at Team Fit Marriage.